I have had a cold and a sore throat for what feels like an eternity - although in reality it is only about 6 weeks - but still, six weeks too long. So, when a company called Grether's offered to send me some of their Pastilles for sore throats I practically bit their hand off. Grether's Pastilles For Throat & Voice come in a variety of fruity flavours such as Redcurrant, Blueberry, Elderflower and Blackcurrant. 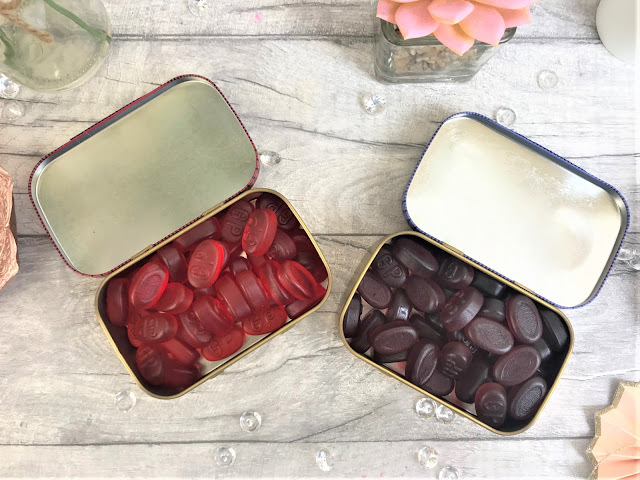 The pastilles come in cute vintage tins which are handy for keeping in your handbag, at your desk or anywhere you may need one. The pastilles are based upon an original English recipe from 1850 and contain essences of sun-ripened berries and blossoms, effective glycerine and high-quality agar-agar. They taste delicious and not at all like a 'regular' throat sweet and are also sugar free. 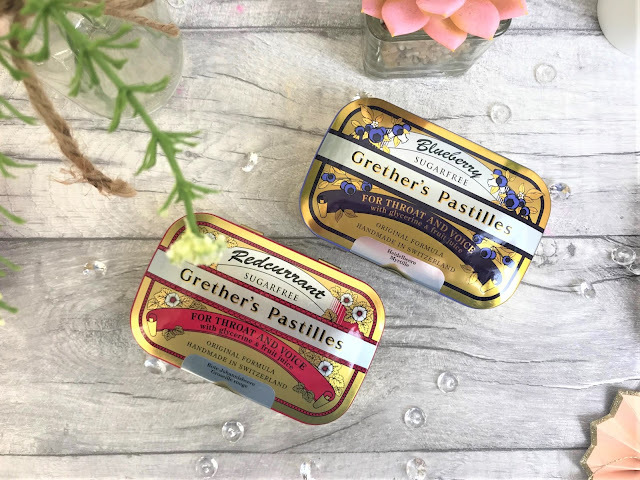 I found instantly that the Grether's Pastilles soothed my throat, and they are not just for sore throats - they can also be used to help tame hoarseness, strained voices and dry mouths. The carefully processed ingredients soothe irritation and coat overtaxed vocal cords like a protective film. When I first tried one of the pastilles, they tasted just like a gummy sweet and so I didn't expect them to work very well but I was pleasantly surprised! Grether's Pastilles are handmade in Switzerland and along with helping your throat, they also boost your immune system as they are packed with Vitamin C. Also, as I mentioned, they are sugar free and therefore kind to teeth and suitable for diabetics too. Each 110g tin contains approximately 45 pastilles and at £5.99 I personally find the price really good. You can find Grether's Pastilles online at All Cures.